Valentines Day is undoubtably one of the biggest holidays of the year with people of all ages bustling about trying to find their loved ones the perfect gift to show them how much they love them. For some the gift giving is extravagant and well planned out, for others they hop up two or three days before Valentines Day to go gift shopping before deciding to settle with flowers, a card, and the infamous box of chocolates. What if i told you this year coUld be different? Don’t get me wrong, there isn’t anything wrong with a card, flowers, and a box of chocolates; but haven’t you ever wanted to spice things up a bit? I’d be grateful but also tired of receiving the cliche V-Day gift year after year as I’m sure many people are. With JORD you no longer have to settle, you can give a one of a kind gift to your loved one, and you can order online and skip the whole department store process. I’m sure you’re thinking “what’s JORD?” and I’m actually glad you asked me that. JORD is a watch company that makes hand-crafted wood timepieces with raw material and refined design. In short, they make really cool and high quality wooden watches. 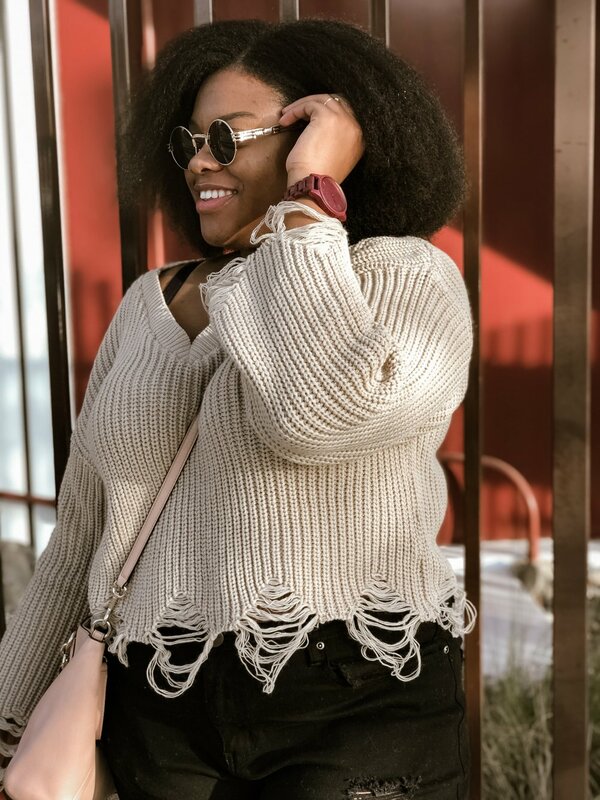 Prior to seeing JORD on social media, I’d never heard of them and had only seen a wooden watch one time before in a watch shop in Texas, after looking through the JORD website and seeing their variety of hand-crafted timepieces I immediately wanted one. JORD has a selection of hand-crafted wood timepieces for men and women, JORD also has Apple iWatch bands for men and women, and caps for men. When you order a JORD hand-crafted wood timepiece you can also choose to have it engraved as I did. I got my JORD watch engraved with a scripture. If you’re shopping for Valentines Day you could engrave your gift with an “I love you” or a date that means something special. What kind of JORD watch did i get? I received the “Frankie Purpleheart & Plum” watch which retails for $189.00 usd. 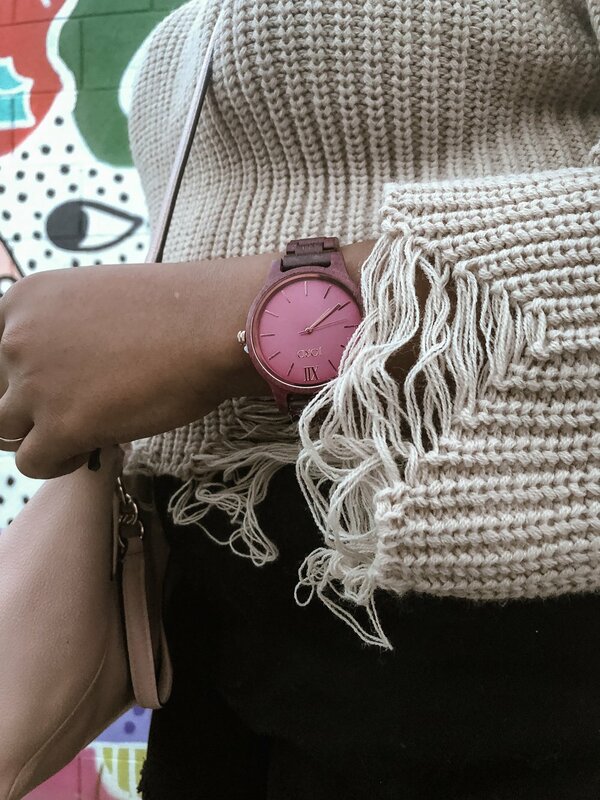 Frankie is a series of hand-crafted wooden watches that are minimalistic, ultra slim, with a straight line strap and an uncomplicated face that allows focus. Frankie features sapphire crystal glass, and a deployment buckle with push buttons. Purpleheart is the type of wood my watch was hand-crafted with. There are six other types of timepieces in the Frankie series. I love watches, thanks to my dad who is a huge watch collector. So I generally always know what I am looking for when shopping for a timepiece. I would consider myself somewhat of a minimalist in the aspect that I like things to be clean and concise, which is exactly what Frankie Purpleheart & Plum is. This watch is lightweight, easy to put on, it comes with extra links so it can be adjusted, and the Purpleheart makes it truly unique. 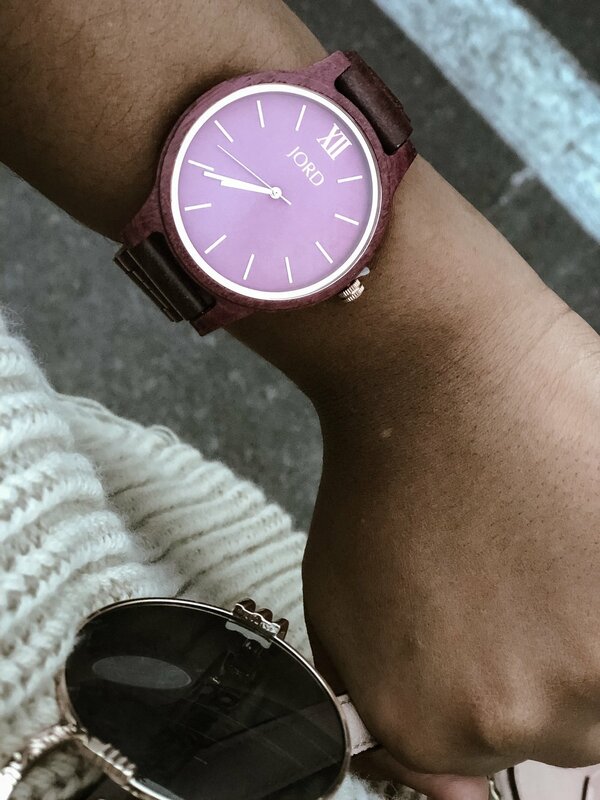 The Purpleheart & Plum is the perfect pop of color, when I saw it I knew immediately that I wanted this timepiece. When you order your JORD timepiece you will have free shipping, as well as free exchanges and refunds within 15 days of receiving your timepiece. After 15 days but within 3 months there will be a 15% restocking fee, and there is a one year warranty on all timepieces . Should you need to repair your timepiece after the one year warranty there is a small fee associated with the repair. If you’d rather go into a store to purchase your new JORD timepiece they have a store locator located on the JORD website. 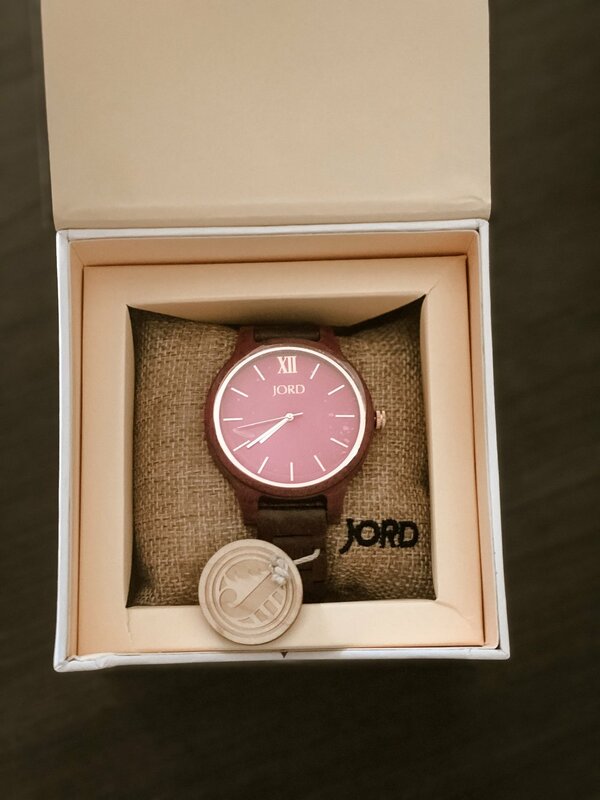 I love my JORD watch, and I really want to give you the opportunity to have your very own JORD hand-crafted wooden timepiece, so I am partnering with JORD to host a $100 usd GIVEAWAY! 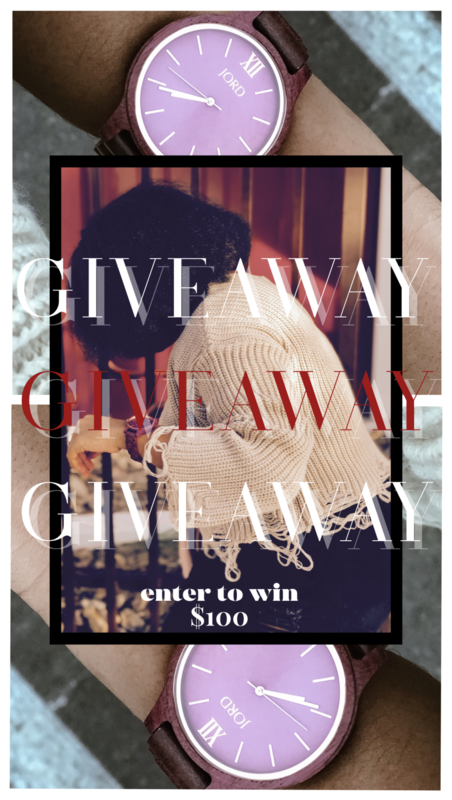 To enter, simply click the giveaway button and enter your info. Then wait for the winner to be announced! As always thank you for reading & stay blessed!